While you spend time in port in Los Angeles, see the beautiful and famous sights of the City of Angels on an approximate 55-minute airplane tour with Champagne! Enjoy unforgettable views of Marina del Ray, Manhattan Beach, the Getty Center, downtown Los Angeles, the Hollywood sign and more. Your Los Angeles shore excursion begins with pickup by mini-limousine from either Long Beach or San Pedro port. 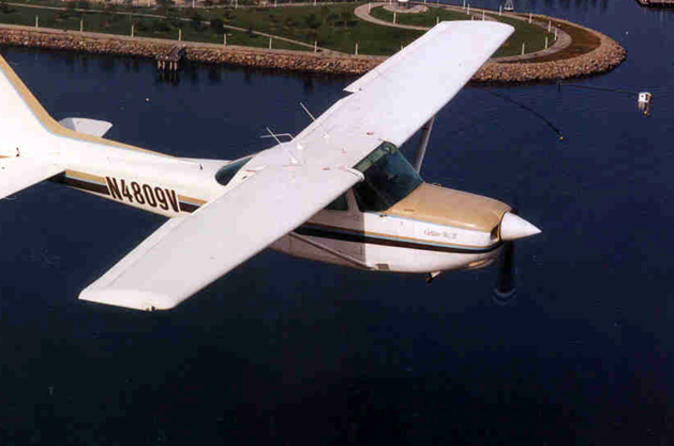 Your awaiting plane will first fly above Long Beach and LA's harbor. Then make your way around the Palos Verdes Peninsula, up past the beach cities of Hermosa, Redondo, Manhattan and Marina Del Rey, and over to the Santa Monica Mountains. Then soar over the Getty Center, Brentwood, Pacific Palisades and some celebrity homes in Beverly Hills! Finally, fly over the Hollywood Hills, Universal Studios, Dodger Stadium and the downtown skyscrapers before heading back to the landing strip. This deluxe air tour is one of the most popular flying experiences in LA and offers the chance to discover the city while you enjoy a bottle of Champagne.